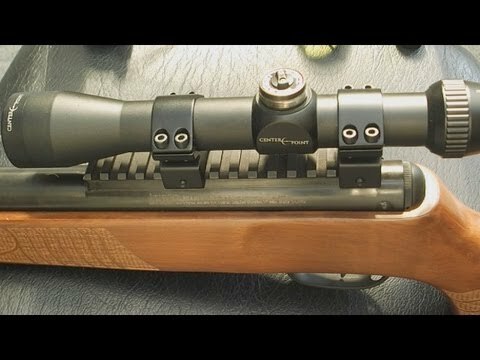 1 So what is the Best Air Rifle Scope? If you are looking into purchasing an air rifle scope the last thing you want to do is pick up a piece of junk. Even if you are just buying a scope and an air rifle for a beginner, you don’t want them using something worthless. So, with all of the choices out there how do you know what the best air rifle scope is. Honestly, that is not an easy answer. The best airgun scope out there is really going to depend on what you are using the rifle for. When picking out the best air rifle scope for 2016 you are going to need to look at a few factors. The first thing you need to look into is whether you want a fixed or variable air scope rifle. The basic difference between the two is the magnification; with a fixed scope, the magnification has a predetermined number, while a variable scope has a range of magnification. Keep in mind the higher the number the more magnification, so lower numbers would be good for closer distances, while larger numbers would be better suited for distant shoots. Objective size and the parallax adjustment also play a part in picking out a scope. The objective is what determines how much light can come through the scope, the bigger the number the more light that comes through. Parallax adjustment deals with a fixed object that seems to move because you move your head slightly. 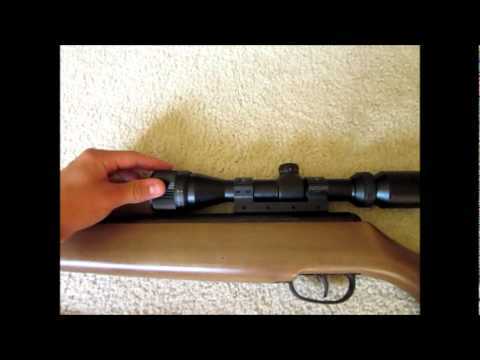 To solve this air rifle scopes use an adjustable objective, this is simply a ring around the objective that can be adjusted to minimize the parallax effect. The adjustable objective can also help keep your crosshairs centered on your target regardless of the distance or any tiny change of movement. The last factor you need to consider when looking at what scopes are the best for you is the crosshairs, otherwise known as reticles. This is probably the hardest one to narrow down because there are so many different types to choose from, but remember what style you pick will depend on your personal preference, your shooting style, and the type of shooting you plan to do. For example, fine crosshairs are the perfect choice for shooters who plan to do a lot of shooting on fixed targets that provide high contrast, as the thin lines can easily get lost. The duplex crosshair, which is a favorite among air rifle owners, has thicker lines on the outside with thinner lines in the center, which the thicker lines make it harder to lose sight of the crosshairs. So what is the Best Air Rifle Scope? So, now that you know what you need to look for in a scope, let’s take a look at the top 10 of the best rated airgun scopes for 2016 out there. The Hammers 3-9×32 AO Air Rifle Scope is a one piece mount that comes with three clamping screws plus a stop pin built in to help ensure the scope stays in place. The anodized black matte finished scope fits onto a 3/8” dovetail groove or rail and has an overall length of 12 ¾”. A variable scope offers a minimum of 3x magnification, but can go as high as 9x power with a 32mm objective lens that is fully adjustable. The Mil-Dot crosshairs allow for great sighting even with darker backgrounds. One thing about scopes for airguns is they are made tougher than regular scopes because of the recoil with airguns. Airgun recoil is what we refer to as two-way, which often knocks the reticle loose on scopes that are not rated for airguns, so using the Barska you won’t run into that problem. The variable scope offers 3x to 12x power; the best part is no reduced clarity over 9x. The Mil-Dot reticle is perfect for range-finding. To make it even better you can bring the target into clear focus, as well as eliminate the parallax from 10 yards to infinity with the Adjustable Objective. The UTG 3-9×40 AO Mil-Dot air rifle scope is nitrogen filled and 100% sealed to ensure it is shockproof, fogproof, as well as rainproof. The scope features consistent and precise wind and elevation adjustments, we are talking ¼ MOA per click. The lenses on the scope are emerald coated, which improves the clarity of the scope. The 40mm AO provides a crisp, clean picture, no distortion whatsoever, and can correct parallax down to 5 yards. The Mil-Dot reticle works perfectly to line up the target, although the dots are a bit on the small side making them harder to see in some conditions. The variable scope offers 9x power, which is more than what most shooters need. 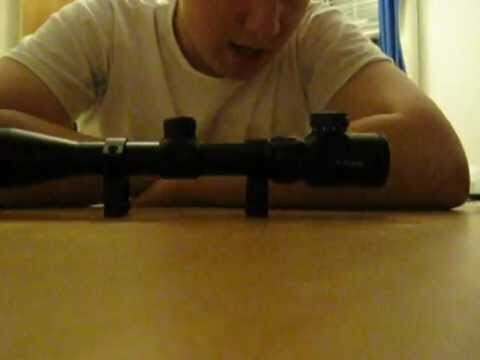 This air rifle scope offers shooters 2-7x magnification. The air rifle scope is made by Daisy Outdoor Products, so its reliability and quality is top notch. The air rifle scope is fully adjustable for both wind and elevation. It is also shock resistant and fogproof, a must have for shooting outdoors. The scope also comes with mounting hardware. The 1-inch rings that come with the scope do not come with a stop pin, so bear that in mind. The objective is a 32mm, but is fully adjustable and works quite well down to 15 ft. All of the adjustments knobs can be easily turned with fingers. The scope offers duplex style crosshairs. The one piece metal Crosman CPA416AORG2 Centerpoint is a one-inch tube that is fully rated for both firearm and airgun use. The multi-coated lenses are protected from rain, snow, dust, etc. thanks to the flip-up lens caps. The scope itself comes with 1-inch weaver style/picatinny rings for mounting purposes. The scope offers 4-16x power for a variety of shooting scenarios. The adjustable objectives provide you with a parallax-free image, all without changing the impact point. What this means for you is if your target moves your scope will adjust itself, regardless of distance. Dual reticles are illuminated to provide a sharp image even with close up or fast moving shots. The CVLIFE Variable powered air rifle scope offers 3-9x magnification for shooters. Instead of having a traditional front sight and a gap, the air rifle scope comes with crosshairs. The Mil-Dot crosshairs allow shooters to increase their accuracy and percentage of hits, all while increasing how fast they can aim. The air rifle scope comes equipped with a focusing dial located at the rear of the scope. Each color has 5 brightness settings, which allows you to control the illumination based on your current shooting needs. Wind and elevation can be adjusted, as well. The scope comes with its own mounting hardware, which are 20mm rail mounts. On this full size, sapphire coated scope the Mil-Dot crosshairs come preset at 35 yards. If you mount it just as the instruction manual describes that preset is actually pretty close to being accurate, meaning you won’t have to do much in terms of sighting. The fixed scope offers 4x magnification. Wind and elevation are the only adjustments that can be made on this scope. The finger adjustable turrets are precise ¼ MOA per click. The scope comes with two dovetail scope rings, which work fine. However, you can purchase separate rings if you wish to attach the scope to a weaver style rail. The Winchester 809 made by Daisy can be used with most air rifles, but can also be used with firearms and is considered fogproof and shockproof. This air rifle scope comes with its own mounting hardware, but to properly mount it on your air rifle you will need to have a 3/8 inch dovetail. Although the air rifle scope only offers 4x power, the cross-hair styled reticle allows you to easily zero in on targets. The objective is not fully adjustable, but the scope can be adjusted for wind and elevation. The one piece Crosman CP392RG is a one-inch tube that is rated for airgun use, as well as firearm use. The multi-coated lenses are protected by flip up lens caps. The scope comes with mounting hardware in the form of 1inch 3/8 dovetail scope rings. The good news is the scope can be adapted to fit just about any mounting system that uses 1 inch rings. The reticle is illuminated in either red or green, depending upon how you have it adjusted. You can also choose the intensity of illumination with the metal adjusters located on the left side of the scope. The selector knob allows you to choose the magnification ranging anywhere from 30-9x power. This all metal CVLIFE Tactical scope is 12.20” long with a 1” tube diameter. It also comes with two free rail mounts that fit on a .79’ inch rail. Customers have reported it mounts fine on a weaver rail system, as well as a picatinny rail without any kind of problems. Once you have it properly mounted and sighted in, you shouldn’t have to make any adjustments, as it withstands some powerful shooting. The variable scope can reach up to 9x magnification making it easy to spot those far off targets. The 40mm objective lens is not adjustable, but still serves its purpose well. And, being that the scope itself is shockproof, waterproof, and fogproof it can successfully by used in all types of environments. And, even though these are some of the best air rifle scopes out there, that doesn’t guarantee that they will work with your air rifle. 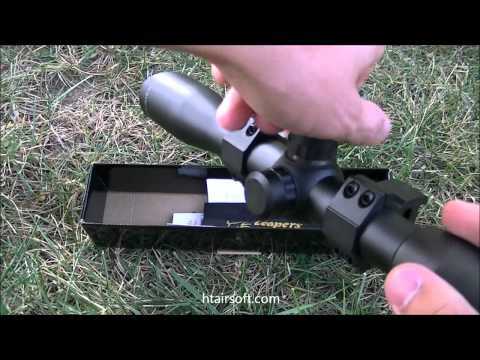 Before buying an airgun scope, make sure it will fit your air rifle. Majority of air rifles use dovetail mounts, but some will use weaver mounts. 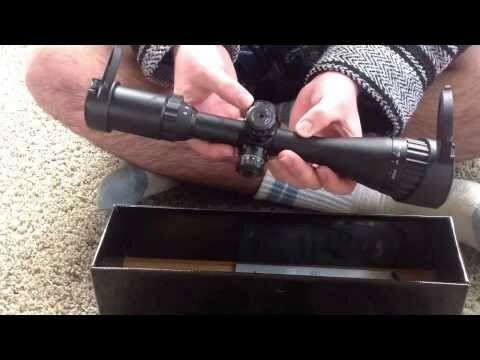 The last thing you want to do is buy a scope that won’t fit.